Spring is a frosted floral pattern static cling window film. Our collection of D-C-Fix static cling window films have been developed using innovative static cling technology to make application so quick and easy, you'll be amazed. The film adheres to the glass surface using water, which later dries out leaving a flawless finish with no air bubbles. Whether you're looking for some privacy for an overlooked window or would just like to add some decoration to plain glass, D-C-Fix static films offer a wide range of designs in varying sized rolls to fit any area of glass. Our premium range offers a higher grade material with a more authentic glass look. The thicker gauge film makes application even easier. D-C-Fix static window films can be peeled off leaving no residue and can be re-used. These sets are perfect for smaller windows, transitional or traditional decors. Use LEVOLOR spring tension rods to create beautiful window solutions without the use of any additional brackets or hardware! Just twist the rod and fit it to your window frame. Create beautiful windows with LEVOLOR. Utility Springs are available in two distinctive types. Compression type force two parts apart and return them to their original position. Extension type span between two parts and return one or both parts to their original position such as a cottage screen door or a throttle linkage. 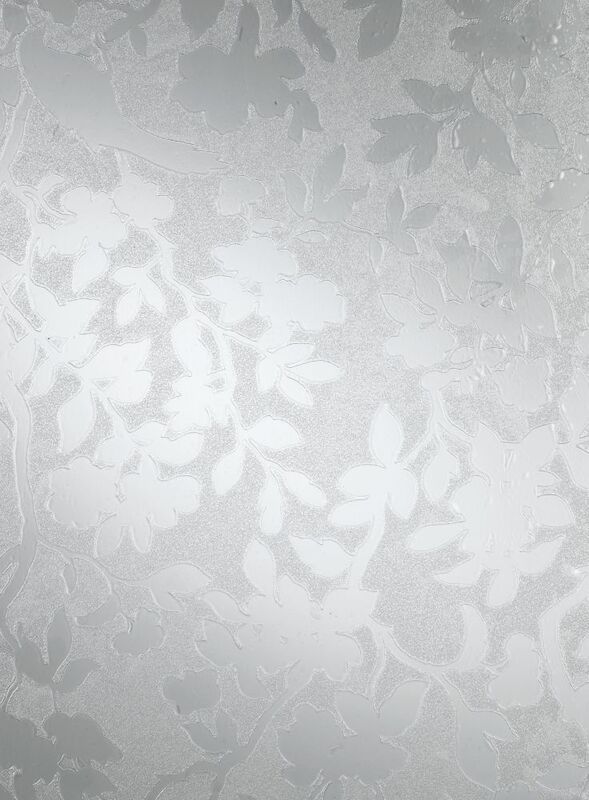 338-8027 Home Décor Static Cling Window Film 26-inch x 59-inch Spring - 1 Pack Spring is a frosted floral pattern static cling window film. Our collection of D-C-Fix static cling window films have been developed using innovative static cling technology to make application so quick and easy, you'll be amazed. The film adheres to the glass surface using water, which later dries out leaving a flawless finish with no air bubbles. Whether you're looking for some privacy for an overlooked window or would just like to add some decoration to plain glass, D-C-Fix static films offer a wide range of designs in varying sized rolls to fit any area of glass. Our premium range offers a higher grade material with a more authentic glass look. The thicker gauge film makes application even easier. D-C-Fix static window films can be peeled off leaving no residue and can be re-used. 338-8027 Home Décor Static Cling Window Film 26-inch x 59-inch Spring - 1 Pack is rated 4.7 out of 5 by 13. Rated 5 out of 5 by Seamus from Love it! This is perfect for my diamond shaped window in my en-suite. Rated 5 out of 5 by irene from Translucent This window film lets in light but you cannot see through it so it provides privacy and the pattern is pleasing. It's easy to apply if you make sure the window surface is very wet although getting all the bubbles out can be a challenge. Overall, a great product. Rated 5 out of 5 by stag from easy to apply We cleaned the windows thoroughly. We cut the film about 1/8" less than the glass, lightly sprayed the glass, applied the film and squeezed out the air. We could even trimmed the excessive film on the window. The film sticks on the glass quite well. I'll wait until spring to order other batch to see how the film reacts to our severe winter. Rated 5 out of 5 by Dsquared from Very good product This product is easy to cut and install. You must put water on the window for it to stay in place. It does an excellent job in providing privacy. Our order did not include any English instructions, so we had to rely on pictures and the Home Depot website for installation. Rated 5 out of 5 by Jaye from just what we needed In our screened in porch, we had used the glass part of two sliding doors to cut off the wind in one section. This worked well for years until the seals on them broke. The fogginess and the inside condensation drove me crazy but we didn't want to have to go through a major reno to take them out and try to find ones to replace them...I bought two of these, put them up easily and they saved us the headache of having to completely redo that section of our porch. These saved us hundreds of dollars and nicely made the porch look more like an actual room. I don't know if they will make it through a Canadian winter but at this price, I will happily buy new ones next year. You have to make sure you put them on the right way, or the birds look like they are hanging upside down!